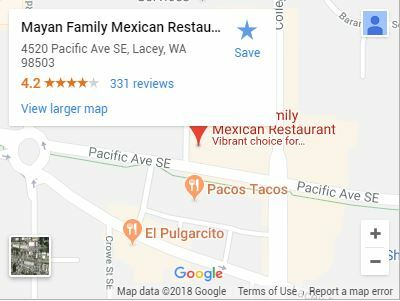 Thinking of going out to eat at a restaurant in Tumwater? Even if you’re an extraordinary chef, chances are that every once in awhile you want to go out and let someone else do the cooking. 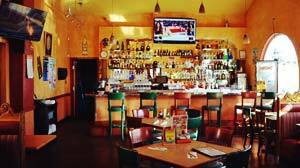 And when you go out to a restaurant in Tumwater, you should choose somewhere that has great food at fair prices and treats you how you deserve. 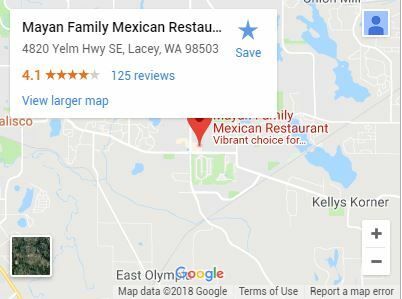 If you’re in the mood for Mexican food, that place is Mayan Family Mexican Restaurant. With authentic food and some recipes that have been passed down for generations, you won’t find a better bang for your buck than when you let our family cook for yours! Watch some football during Monday night Happy Hour! If you bleed blue and green, our Happy Hour on Monday nights is perfect for you. Enjoy discounts on food and drink while you await the next touchdown. And if you’re especially bold, root for the other guys, and we’ll still serve you like one of our own; though we can’t say the same about the other patrons! 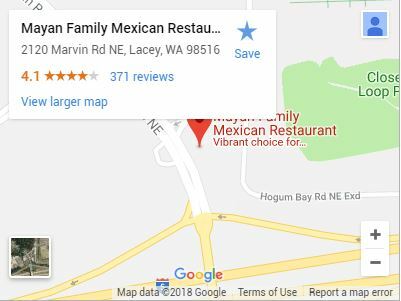 Try something new at our authentic Mexican restaurant! Albondigas. A meatball and vegetable soup. Mariscada Mexicana. Seafood and sautéed mushrooms in ranchera salsa over a bed of rice and cheese. Carnitas de Res. Steak strips with green peppers and onions served the way you like it. Mole sauce. A Mexican delight that tastes much better than a blind hole digger! Try this authentic sauce instead of traditional salsa. Deep fried ice cream. Ice cream can be fried and still survive? You’ll have to try it to believe it! Flan. A custard topped with caramel, this could be your new favorite! But only if you get the real deal at a quality restaurant like ours! With authentic food and even more authentic hospitality, you’ll want to come back again in no time!